Jorge and Edie, The Salsa FREAK join forces to bring you the hottest Intermediate/Advanced L.A. Style turn patterns. 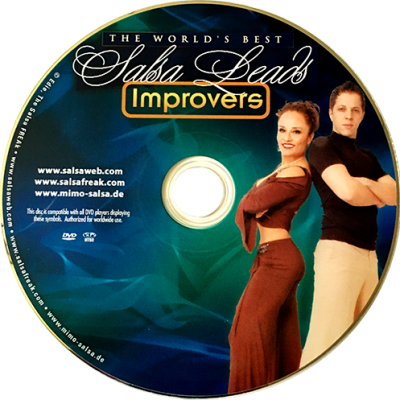 In this DVD, which is part of Edie’s “Best Leads in the World” Series, they combine their expertise to present in detail the leading and following techniques of some of your favorite Salsa moves. Students, as well as Salsa Instructors can benefit from the sound techniques and fundamentals presented in this DVD. 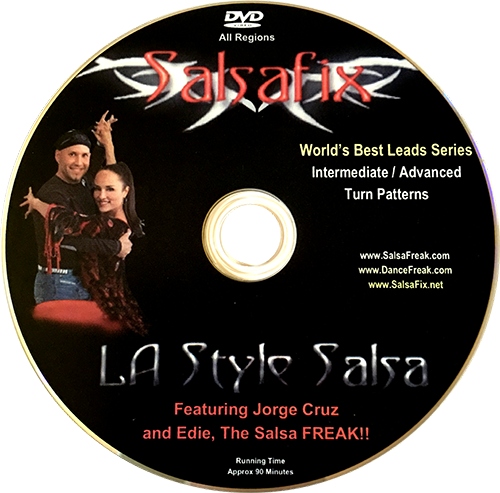 – Interviews with Salsafix conducted by Edie, The Salsa FREAK! !